Verizon started the 4G LTE ball rolling in the United States when the 4G LTE network was designed and still hoping to be the first in the United States to roll out the 5G Network. 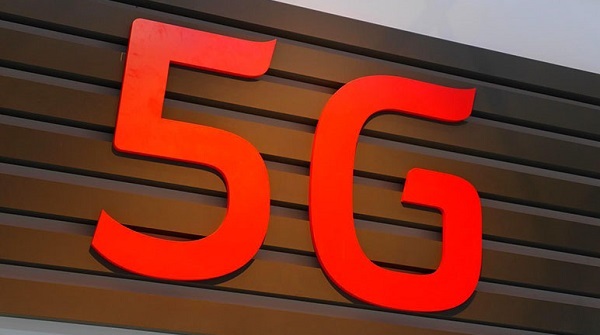 Yesterday, Verizon said it has completed its 5G radio specs; these specs will be used by manufacturers of Smartphones, suppliers of parts used to build out the 5G network, and others helping Verizon roll out and maintain 5G service. If you don't know before, data speeds for 5G are supposed to be approximately 100 times faster than that of 4G LTE. Verizon Companies working with Verizon on the 5G radio specs includes - Cisco, Ericsson, Intel LG, Nokia, Qualcomm, Samsung Now with this latest improvement, you might be wondering how soon the 5G network will be rolled out by Verizon? Well, according to most analysts, be expecting that to take place in 2020. Not so soon! What do you think about the new 5G network? Don't you think we're really far behind in Nigeria, where 4G LTE has not been properly established yet? Let's hear from you! You're definitely correct, I'd really like to find out more info on the issue! I'm as well interested by mesothelioma attorney blog because I believe it really is very cool nowadays. Keep up the good work! My spouse and I certainly enjoy your website and find many of your blog posts to be just what I am looking for. Would you offer other people to post articles for you? I would not mind publishing a piece of text regarding free movie or perhaps on a lot of the things you are writing about on this website. Again, awesome website! A person essentially help to make seriously articles I would state. This is the very first time I frequented your website page and thus far? I surprised with the research you made to make this particular publish extraordinary. Magnificent job! There's fantastic developments on the design of the webpage, I definitely enjoy this. Mine is regarding dental surgery and presently there are plenty of stuff to do, I am currently a newbie in web design. Thanks! You are absolutely correct. I really liked reading this and I will certainly come back for more straight away. Our site is dealing with new movies online, you might take a look if you happen to be still interested in this. I actually arrived right here via another web page on the subject of how to watch movies online and imagined I might as well read this. I really like the things I see therefore now I''m following you. Looking towards checking out your site all over again.